On October 4, 2011, I sat in front of my computer with my finger hovering over my mouse. I was trying to talk myself into hitting "SUBMIT" to post the first chapter of a story online. I'd managed to talk myself into writing it. "You don't have to post it," I told myself. "You don't even have to save it, if you don't want to." It took me a few days, but I finally did it: I typed out the first chapter of a story that had lived in my mind for years. I've always written stories in my head. Sometimes, I took books and movies I'd encountered and re-wrote them to have a plot or ending I liked better, or sent their characters on new adventures. I'd recently made the startling discovery that other people did this, and what's more, there were huge online communities dedicated to it. I'd never really considered writing any of my stories. I didn't think anyone would be interested. But that was one of the selling points when I sat down in front of the computer. I was putting my stories on this massive community, amidst hundreds of thousands of others. Not only was I anonymous, I was also likely to remain unnoticed. I'll be honest with you: I was scared. I don't have a thick skin and I had seen some of the reviews left for other stories, some of which were incredibly cruel. I told myself if that happened, I'd just delete the story and slip away, no one ever being the wiser. I had my exit strategy planned before I even talked myself into hitting that "SUBMIT" button. I certainly never expected what happened. I honestly don't know if I'd have been able to talk myself into it if I had known what was in store. Now that I'm here, I'm discovering courage I didn't know I had. Only you can know when you're ready. It took me a long time to talk myself into it; no one else could have. Now that so many amazing things have happened, I have found myself wondering why I waited so long, but the answer is that I simply wasn't ready yet. The younger me couldn't have done this. Know this: once you start, you'll discover that things aren't as bad as you feared. I was afraid of mockery, of cruelty, of having my suspicions that I had no talent and my stories were boring confirmed. What I found instead was incredible kindness and support. Did I encounter some meanness? Yes, of course. No writer has ever managed to completely escape that. But I found I could keep it in its proper perspective. It was late in the evening before I managed to convince myself to click that button. But I'm glad I did. 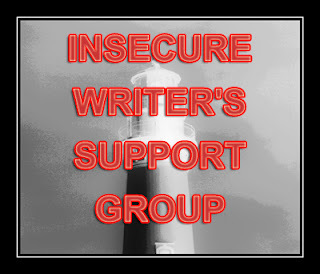 You can join the Insecure Writer's Support Group and see other posts in the series here, and my first post on the topic. So glad you decided to click the button!!! 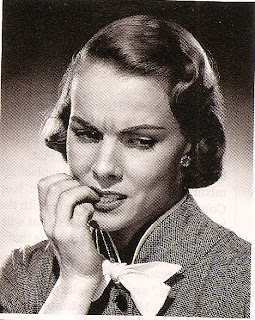 I think taking the plunge, and taking it over and over again really helps defy insecurity of any kind. Happy Writing, and great IWSG post! Thank you. I'm glad I did, too. The encouragement I received from other writers really helped me during those early days, and I'm hoping I can encourage someone else like that. Thank you! I hope you feel confident enough to begin sharing it soon. I think you'll find it to be a very rewarding experience. Yeah, hitting that button to put yourself out there can be a huge step. Well done! I hope to be one more supportive voice in the chorus over the year ahead.